The Navy defended its plan to move heel-to-toe from its Littoral Combat Ship into the LCS-based frigate program despite a Government Accountability Office report released today that suggested the frigate program could be slowed to await more details about the frigate’s design and cost. The author of the GAO report, Michele Mackin, in her testimony to the House Armed Services oversight subcommittee today in a hearing on the LCS program leveled a range of criticisms at the ship class – five major but unrelated engineering casualties over the last year, concerns about the Navy paying for repairs that stemmed from flaws in ship design or construction, uncertainty about the cost of the frigate upgrade, talk about awarding a block buy contract for frigates before the new ship’s capability is proven, among them. In sum, Mackin said, the Navy should slow down its transition to the frigate. 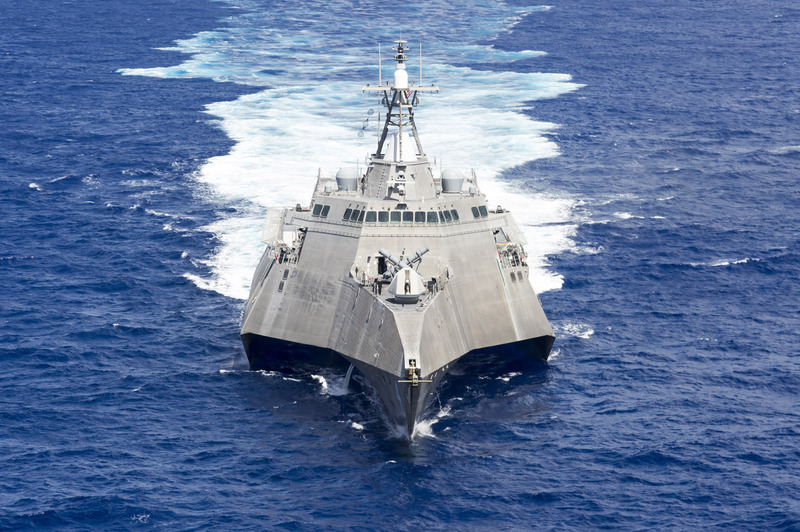 “Our work has shown that both LCS shipyards are running quite a bit behind in delivering ships already under contract. Backlogs are many months long and up to a year or more in some cases. So the bottom line here is that both shipyards will be building LCSs for years to come, at least into 2021 at this point. So there’s no schedule imperative to add frigates to the pipeline right now,” she said. After a contentious hearing – the second in two weeks – Navy acquisition chief Sean Stackley told USNI News that the service could not delay its frigate upgrade plans without interrupting continuous production, which would lead to laying off skilled workers at the yards and risking higher cost and poorer quality. “Her comment in terms of the timeframe is that when you award the last ships in 2017 … you still have work to take you to the 2020, 2021 timeframe. Well that’s true, because you’re going to order material and then you’re going to build the ship,” Stackley said. During the hearing, Mackin and oversight subcommittee ranking member Rep. Jackie Speier (D-Calif.) questioned whether an LCS-based frigate was even the right concept the service’s next iteration of a small surface combatant. “If we’re now taking the LCS and turning it into a frigate, wouldn’t we be better served to design a frigate that meets what our needs are?” the congresswoman said. Stackley replied that the Navy spent a year in 2014 conducting an analysis of alternatives to answer that very question. “We worked with the fleet, we worked across the design community, we worked with the Joint Staff, we worked with the CNO (chief of naval operations’) staff and we reviewed existing designs – U.S. and foreign – frigate designs, as well as considered a clean sheet,” he said. Additionally, the congresswoman and the GAO director of acquisition and sourcing management slammed the Navy for the number of major engineering casualties over the past year and the fact that the Navy had to pay some of the bill for repairs they say the shipbuilder should have paid. During the hearing, Stackley explained the five engineering casualties in detail, noting that two were crew errors, two were deficiencies in ship construction and repair, and one was due to ship design. “The Navy has conducted formal engineering reviews and command investigations to assess the root causes, and corrective action for each of these casualties are in action,” he said. In the case of the design issue, “a deficiency in the new propulsion gear on the Freedom variant resulted in the gear’s clutch failure. The shipbuilder has been responsive with the manufacturer to correct the design, and we are currently testing this correction. The shipbuilder and manufacturer are being held accountable for these corrective actions.” Where the shipyard was responsible for construction and repair deficiencies, the yard and the Navy worked together to improve procedures to avoid future engineering casualties. “Across the board we are raising the level of engineering and design discipline on this new ship class, that of zero tolerance for departure from standards,” Stackley said in his opening remarks. Stackley told reporters after the hearing that he stands by the Navy’s contracting setup and the warranty clauses within the ship construction contracts. For the LCS program, the Navy uses a “fixed price incentive” contract structure that includes a target cost that the contractor is guaranteed to be paid; a shareline, where costs above the target are split between the Navy and the contractor; and a ceiling, above which any costs are shouldered solely by the contractor. Stackley said the LCSs have a one-year warranty period, and any problems that arise during that time that are the shipbuilder’s liability are paid for either on the shareline or by the contractor if it pushes the total ship cost above the ceiling. 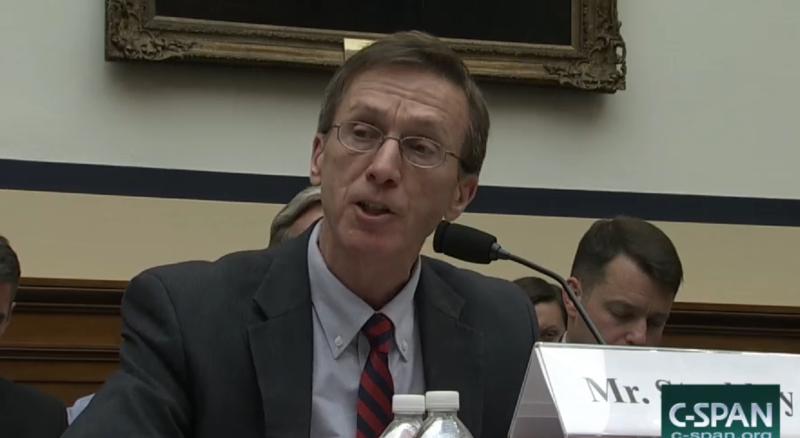 During the hearing, Mackin took issue with the fact that the Navy in effect could be paying for some of the repairs resulting from shipbuilder deficiencies, whereas the Coast Guard uses a contract structure that makes the shipbuilder pay for any repairs during the warranty period. Stackley told reporters afterwards that the Coast Guard uses a “firm fixed price” contract setup that costs more upfront but puts all the responsibility for warranty period repairs on the shipbuilder. 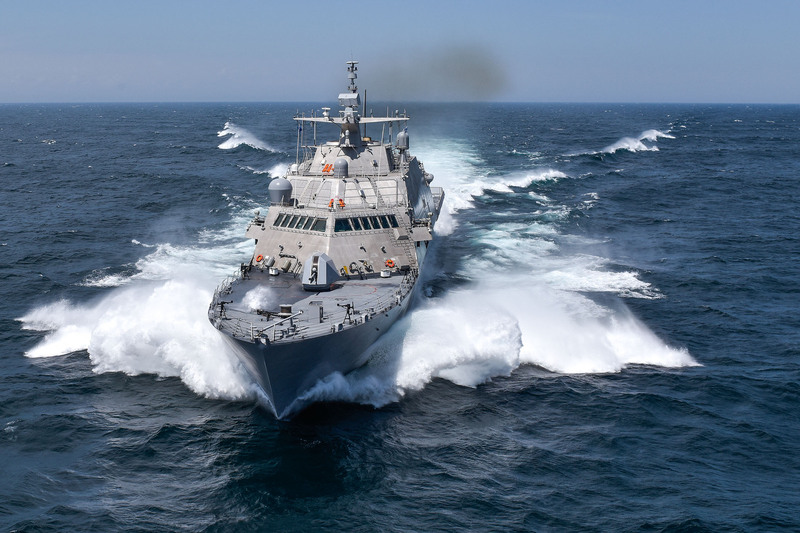 “We’ve reviewed this over and over again with OSD and with other organizations trying to drive down cost for the government, trying to properly incentivize things like quality and performance, and at the same time deliver capability in the most affordable manner,” Stackley said, insisting that the current LCS contract structure is the fairest setup for a ship class in serial production.